The #1 kitchen tool I think every mom needs is the Crock Pot (Slow Cooker) . If you want to bring sanity back to your home and dinner time, then pull out that wedding gift you got years ago or head to your local store and purchase one. It will save you time and money. 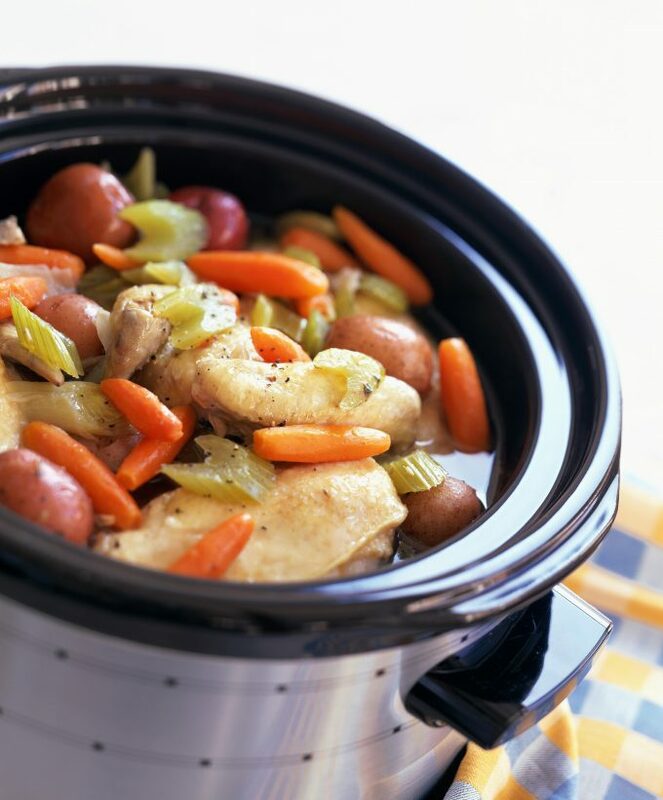 Next, search online for some great, easy Crock Pot (Slow Cooker) recipes that you can use on busy crazy days. It has given me peace of mind when I’m out in the afternoon wearing the Taxi Driver hat knowing back at home our dinner is cooking and will be ready to serve when we walk in the door. Slow cookers are an excellent tool for helping you get dinner on the table without a lot of time or energy. We all know the 5:00 dinner rush is chaotic and tiring. Putting dinner together earlier in the day allows you to walk away and forget about it. When it’s time for dinner, it’s ready and waiting for you. Most of the recipes my family enjoys don’t require many ingredients and only take about 10 minutes to prepare. Many people shy away from their slow cookers because they’ve had bad experiences with them in the past. More often than not it’s usually because the meat has been overcooked which is very easy to do and it really does taste awful when it happens. Newer crockpots do cook much faster so a good rule of thumb is to always go with the lower time listed in the recipe and to make sure your crockpot is at least 1/2 to 3/4 of the way full. It does take a little experimentation when you first get going but it’s nothing to be afraid of and when you do finally get it right (and you will) it’s a wonderful warm fulfilling treat at the end of a long day. So what do you say? Is it time to dust off your slow cooker?